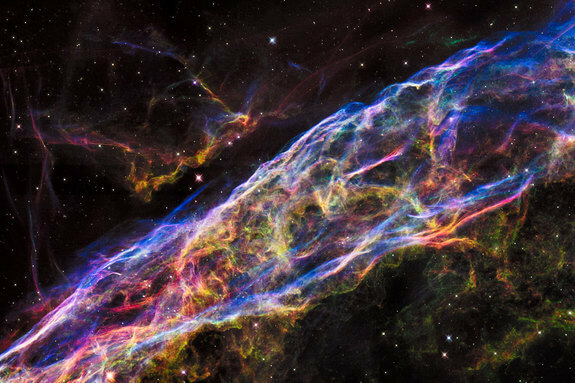 The Veil Nebula’s beauty belies its violent origins: The structure formed about 8,000 years ago, after a star 20 times more massive than the sun died in a supernova explosion, researchers said. 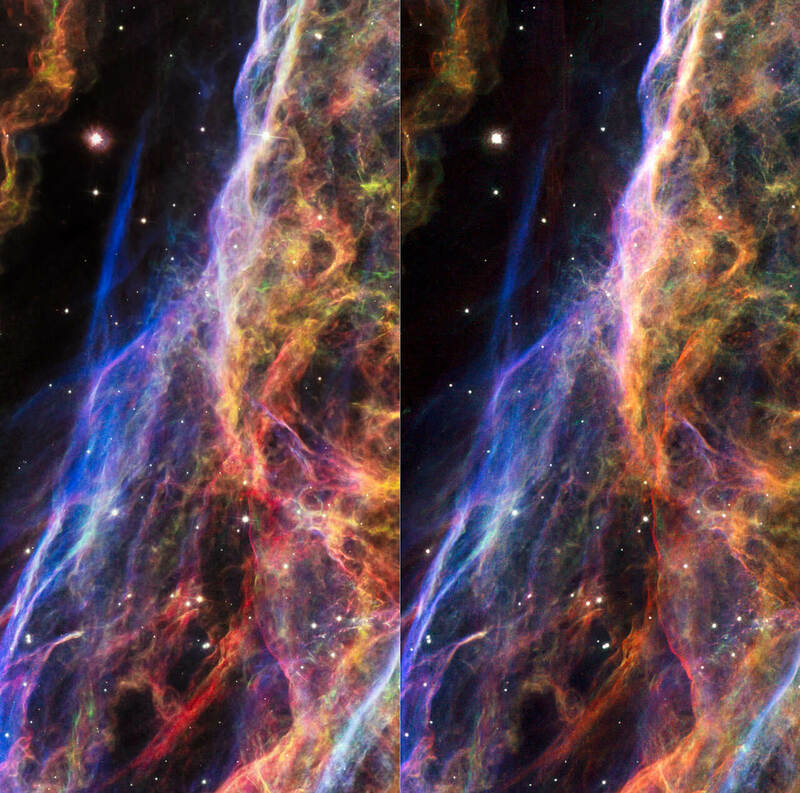 “Astronomers suspect that before the Veil Nebula’s source star exploded, it expelled a strong stellar wind. This wind blew a large cavity into the surrounding interstellar gas,” officials with the European Space Agency (ESA), which operates Hubble jointly with NASA, said in a statement. Features that appear blue in the new images, for example, contain hotter gas than do green and red structures, researchers said. The Hubble Space Telescope launched in April 1990. The observatory’s initial images were blurry, and mission scientists soon discovered why — Hubble’s 7.9-foot-wide (2.4 meters) primary mirror was slightly flawed. But astronauts fixed the problem in 1993, and Hubble began beaming to Earth the amazing, supersharp images it’s famous for today. Four additional servicing missions between 1997 and 2009 further repaired and upgraded the observatory, which operators say should keep going strong through at least 2020.